The author of four New York Times bestsellers visited Waterstone”s in Dundee last night to sign copies of his latest book, A Matter of Trust. 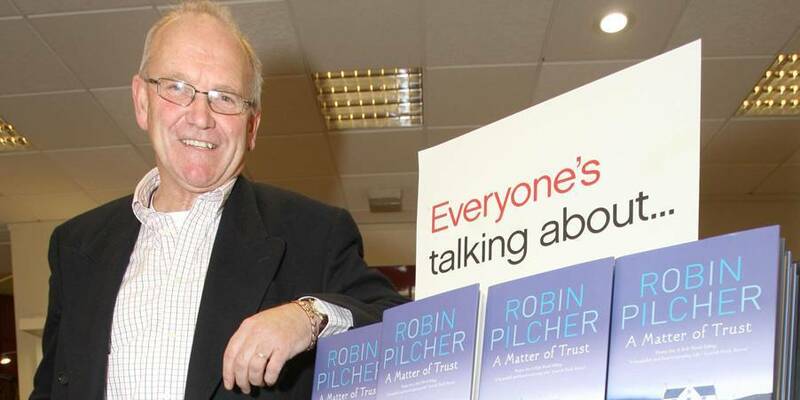 Robin Pilcher met fans at the book shop to discuss his fifth novel, the story of a girl who returns to Scotland from New York after the sudden death of her mother. Robin, eldest son of novelist Rosamunde Pilcher, is the co-founder with businessman William Thomson of Shortbread stories, which has launched a new website. Shortbread stories is a free website dedicated to revitalising the short story by providing a worldwide platform for unpublished writers. To date, it has more than 4000 members and a database of more than 850 stories. “A few years ago I attended a writer’s workshop at a literary weekend in Glasgow and was bowled over by the quality of writing on offer,” said Robin. Robin, who has lived in Dundee all his life, said he was impressed by the city’s literary scene. “It has a burgeoning pool of talent in terms of its Book Prize, the literary festival and the university has its own seat of creative writers,” he added.